Marietta New Customer Special $104 per hour - Click Here! Imagine a sparkling clean home without having to spend hours of your time mopping floors and scrubbing bathrooms. Sound like a dream come true? Image Maids is the house cleaning service in Marietta that can make it a reality. Our team of cleaning professionals has been trained to provide the best maid service for your home, condo or apartment in the Marietta, GA area. With just a quick phone call and the answers to a few questions, we can customize a weekly, monthly or bi-monthly cleaning program that fits your busy schedule. When you call to get started on a cleaning program with Image Maids, you will see that our house cleaning services are affordable and dependable. We will provide you with a free estimate, and there are no long-term contracts to sign. Plus, we have a 100% satisfaction guarantee, so if you are not happy with any part of your home that we have cleaned, you can call our office within 24 hours and we will come back to re-clean that area free of charge. If you have specific areas of your house that need some extra attention, just let us know. Maybe cleaning the exteriors of your kitchen appliances or getting up on a ladder to clean your ceiling fans aren’t on the list of your favorite things to do. No worries, Image Maids is here to help so that you use your time for more important things. Our list of cleaning tasks includes, but is not limited to, the below and can be customized to your needs. Image Maids listens closely to your requests so that your home is as sparkling clean and beautiful as you imagined when we are finished - your satisfaction is our number one priority. We offer a full range of services to accommodate a variety of residential house cleaning needs. Let us help you get the clean home that you have always wanted without you having to spend hours of your precious time dusting, mopping and scrubbing. Besides, those are the tasks we do best. As a family-owned business with ties to Cobb County, Image Maids is honored to serve the community of Marietta, GA. Marietta Roswell area was home to our family for over 75 years. The community’s rich history and noted landmarks offer something of interest for everyone who visits or resides in the area. From local farmer’s markets to historic battlefields, you can see why our clients would rather spend time with friends or family out and about in the City of Marietta instead of dusting furniture or cleaning floors. Earl Smith Strand Theatre: Located at the historic Marietta Square. The theatre got its start as a motion picture house in 1935, and provided entertainment to thousands of people until it closed its doors in 1976. The theatre was renovated in 2002, and re-opened for business in 2009. Historic Marietta Square: The charming shops and restaurants on the Marietta Square are an attraction to both long-time residents and new visitors. There are always a number of historical and cultural entertainment options to be found in or close to Historic Marietta Square. Annual events include the Marietta Square Fourth Of July Celebration and Art in the Park. 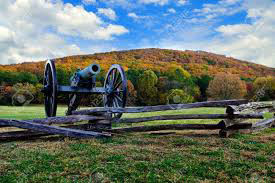 Kennesaw Mountain: A 2,965-acre National Battlefield Park where union and confederate armies fought from June 19, 1864 until July 2, 1864. Although Kennesaw Mountain is most famous as a Civil War battlefield, it has a much deeper story. Image Maids is here to answer any questions you may have about our house cleaning services. We will quickly answer your questions and have your home sparkling clean in no time at all. Although, we don’t expect you to just take our word for it. Be sure to read some of the rave reviews from our current clients first, and then call us at (770) 627-4670 for more information or fill out our estimate form today to get started with our professional house cleaning services. It’s time to sparkle with Image Maids!